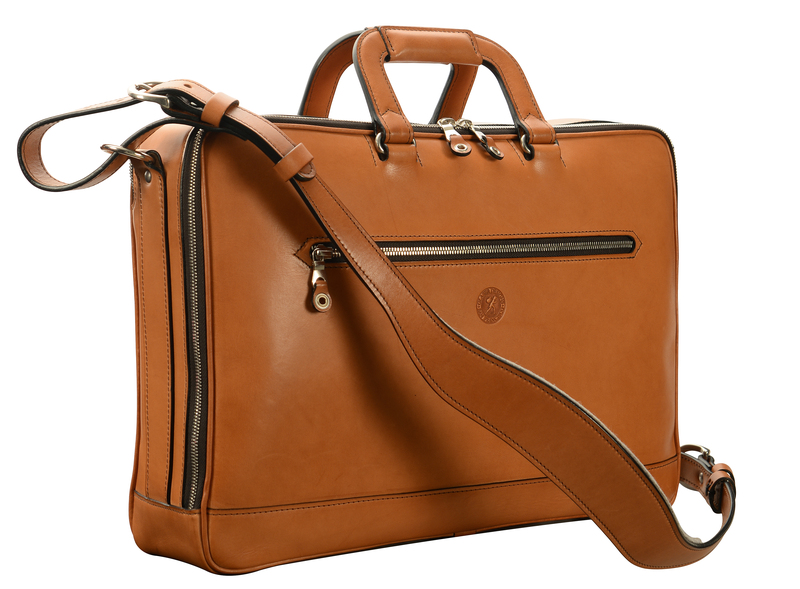 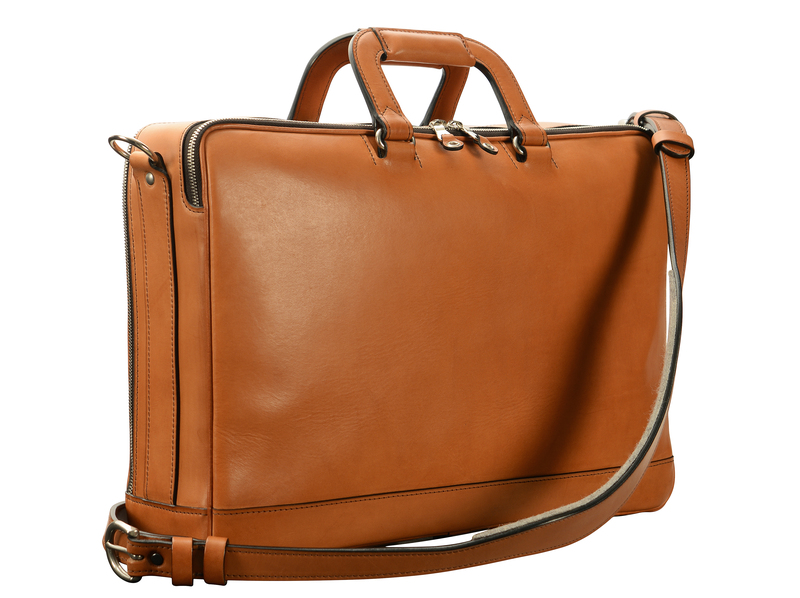 16″ natural leather Soft Attaché: $1025. 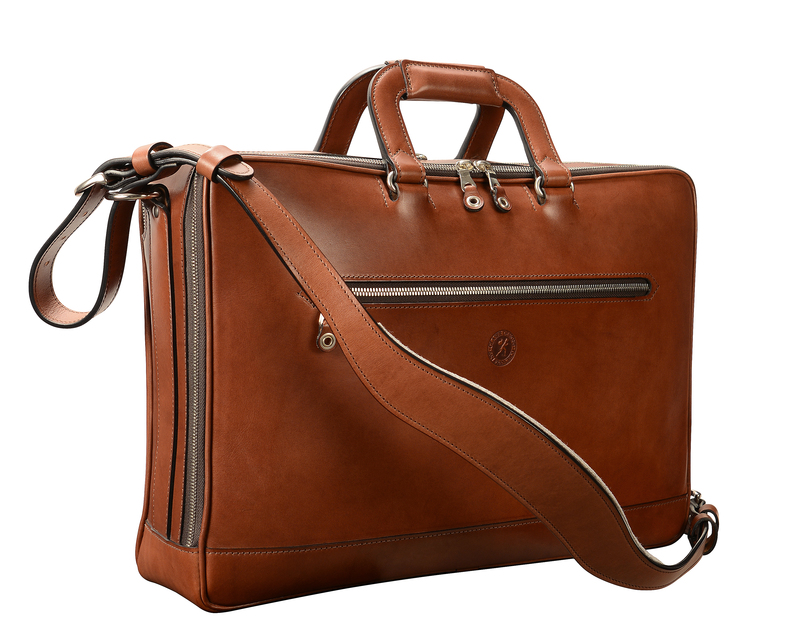 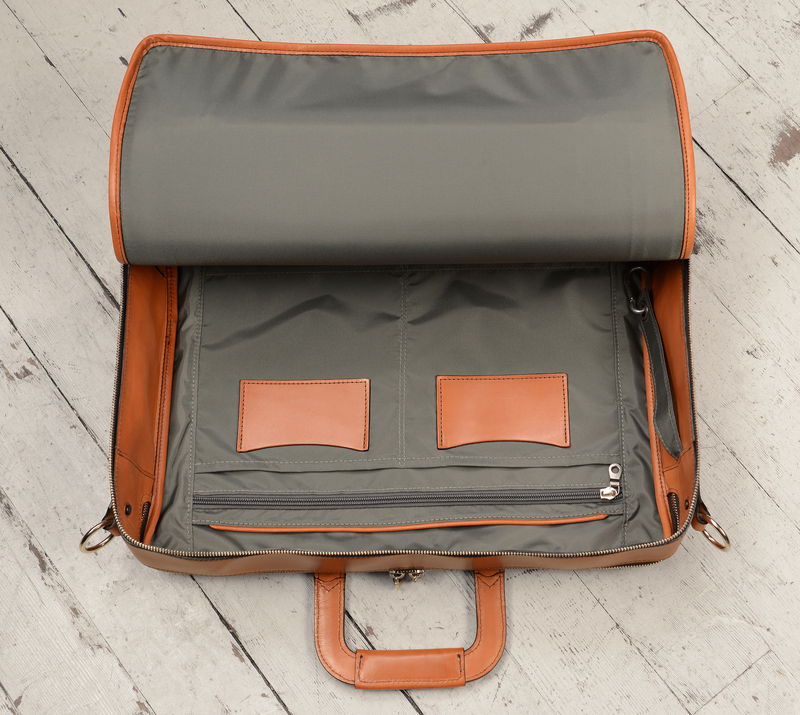 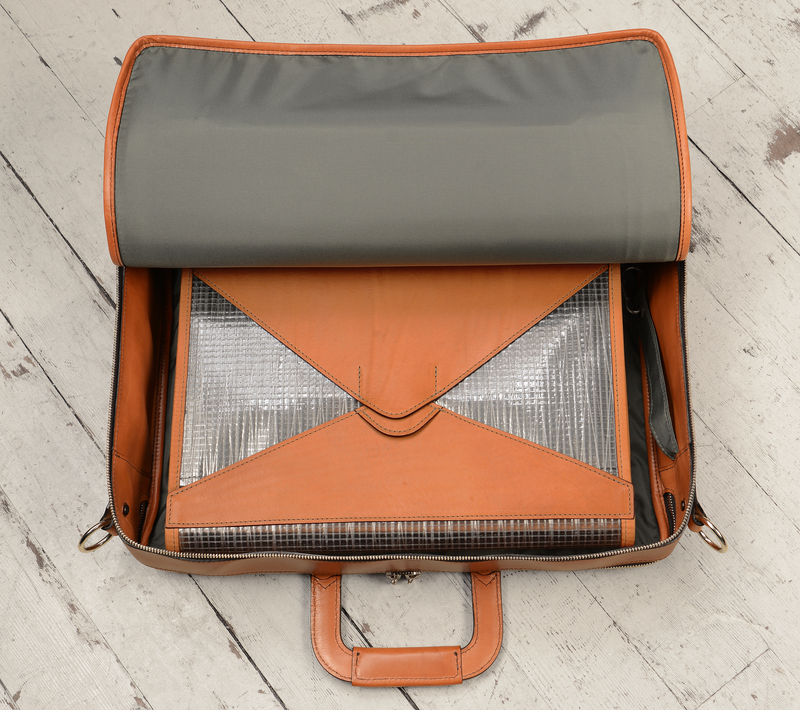 (Also available in hand-grained, hand-colored leather: $2050). 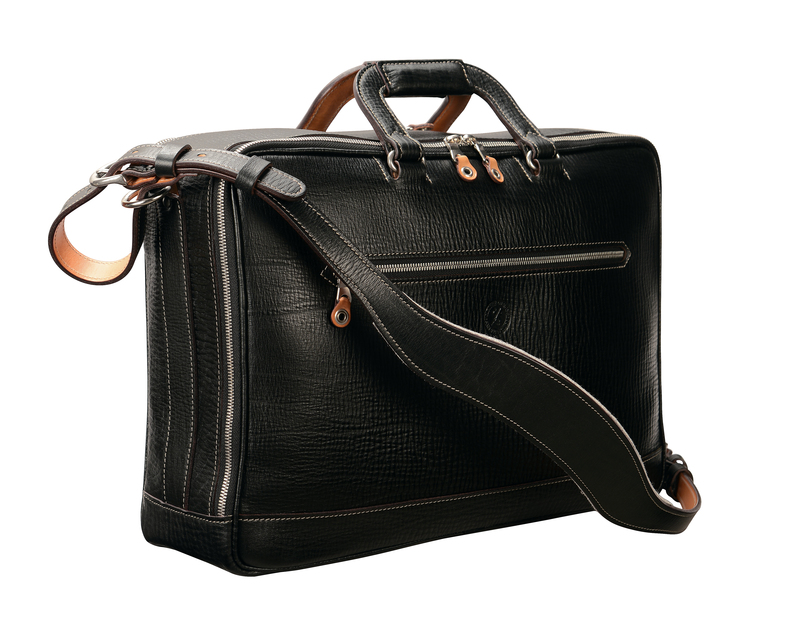 16″ hand-grained, hand-colored black Soft Attaché: $2050. 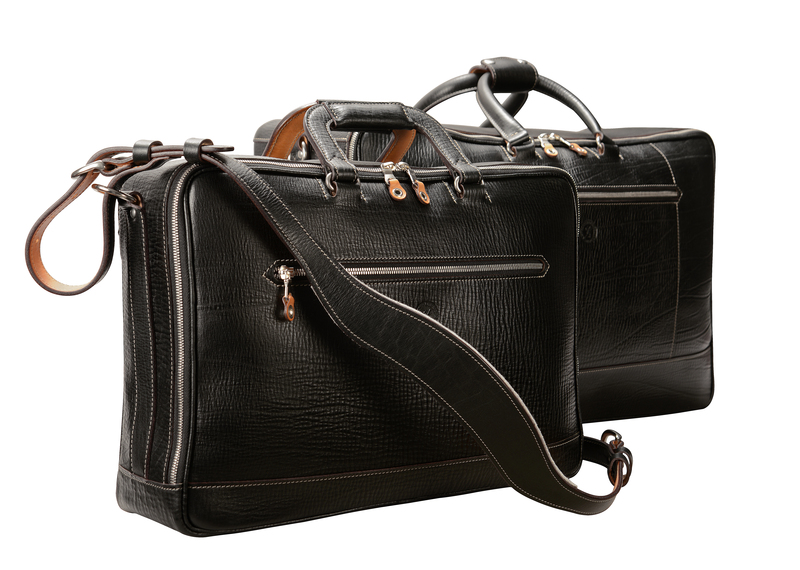 (Also available in hand-burnished leather: $1025).